Riddle: What is smaller than a New York loft in Tribeca? Larger than a London flat in Chelsea? Minimal yet maximum? Singular yet universal? Classic yet contemporary? Can float and can fly? Is an island unto itself; but is also a movable feast? And, has an impossible name—that belies its ultra-chic persona and seriousness of purpose? Twizzle, the stunning new 189&apos; high-performance flybridge ketch, is indeed a brainteaser. Nothing about her is pat or obvious. From day one, she presented a puzzle and a challenge for the team that built her—designers Redman Whiteley Dixon and Todhunter Earle, Dubois Naval Architects and Dutch builder Royal Huisman. A marked departure for Huisman and Dubois and a revelation for RWD/TE, Twizzle encapsulates a new twist on standard yacht themes. 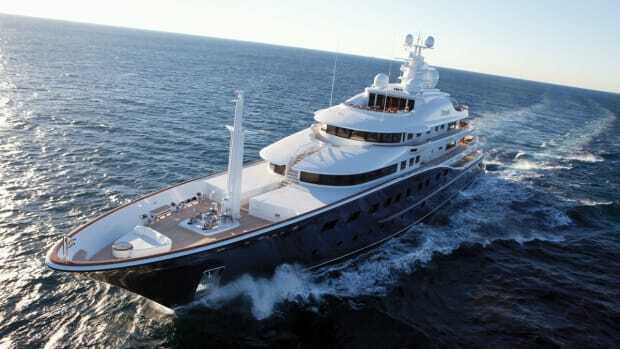 All the pieces dovetailed into a singular combined masterpiece, launched in 2010, at Royal Huisman. The build process began at Redman Whiteley Dixon’s office in the UK, and it was after the owners and designers had come up with a concept that Dubois and Royal Huisman were selected. 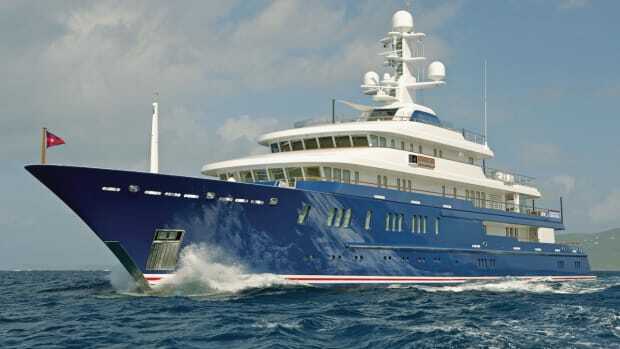 The Huisman yard boasts an impressive range. 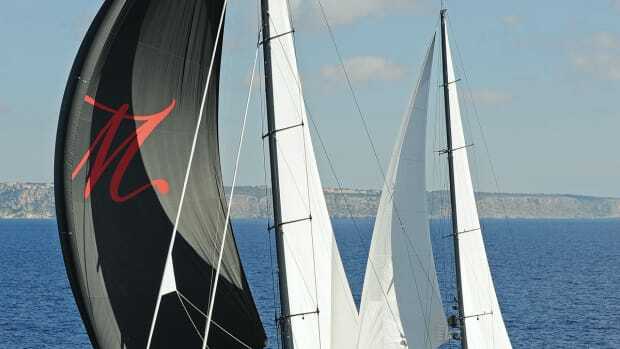 Among the world-class sailing yachts the yard has built are vessels as diverse as the J-Class Hanuman, the computer-driven Hyperion and the racy Gliss. Twizzle’s owners are experienced and have owned a string of boats over the years, including the Perini Navi Andromeda la Dea, which no doubt influenced their decision to have a pilothouse ketch. 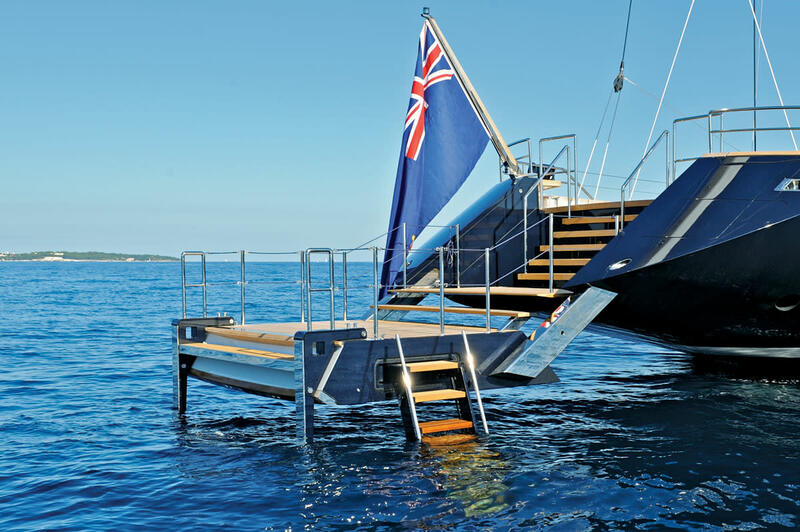 They knew their design/build brief was demanding, and they counted on the reputable shipyard to fulfill it, even if Twizzle is the first-ever flybridge Royal Huisman has built. The design process started five years ago one idle weekend, when they went to visit RWD with their then 18-year-old son. Imaginations were soaring and ideas were flying. While his parents were engaged in animated dialogue with Justin Redman, the son made a conceptual sketch (see opening page), which bears remarkable resemblance to the end result. Soon, further drawings and plans emerged for a high-performance yacht that could fly with the wind, fit under the Panama Canal bridge, and have a minimal draft in order to be able to anchor nearly anywhere in the world, an easy-to-maintain engine room with built-in redundancy, a flybridge that took nothing away from a low profile, and all the comforts of home. The owners very much wanted inside/outside easy and versatile living with clutter-free decks and a swim platform or beach for the tender and divers. This platform is one of the many innovations on board. It was designed and executed without a hinge, a catch, a cable or hydraulic cylinder visible. Also key to the overall design was an integrated bridge system. The result is a stunning RWD-designed glass bridge, akin to that of a space ship, which controls all functions with a touch of a button. The highly automated high-tech system with digital displays fit in dual helms constructed of teak with a carbon-fiber veneer built in New Zealand. But it’s not all space-age technology. Bentley and Bugatti-designed race cars of the 1920s inspired the design, in a daring mix of contemporary and classic. The bridge, which is located on the mezzanine level, is truly pivotal to the whole flow of the boat. Starting from that point, Redman and Dubois worked closely to come up with lines that would keep the superstructure as low and lean as possible, resulting in Twizzle’s snazzy and distinctive profile. This had implications on the interior, where height and perspective were an important consideration. Todhunter Earle says there are five heights, which meant keeping a close eye on the horizontal levels to ensure, for instance, that someone seated on the back of the salon sofa can talk easily to someone sitting on the window seat. In the guest cabins, the door handles are lower than normal to give the illusion of more ceiling height. The aft cockpit is as low as they go, clean with a pop-up table, reading lights and retractable awning, so there is nothing to arrest the eye in terms of flow. Far forward is the unusual salon/relaxation/dining salon with a curved panoramic one-way glass window carefully executed to meet the deck. Royal Huisman’s partner, Yachtglass, created for this unique deckhouse the largest single glass pieces it ever crafted. All details were equally thought out. The limed-oak paneling was another major feat. Much effort went into getting the texture and movement of the wood to be just right, with the floorboards running in the same direction as the wood grain in the paneling. Craftsmen sewed in situ the hand-block printed linen covering the headboards. It complements specially stitched Gail Warwick bed linen, cleverly designed as a duvet without a top sheet. Designers handpicked in the bathrooms’ Italian marble, which was then honeycombed to keep the weight at a minimum. iPod Touches control the audiovisuals, including TVs hidden behind lacquer chocolate brown walls. With hidden storage everywhere, cabins remain clean and clutter-free. Lighting was another big consideration from the glass bridge (where the LED lights are Ralph Lauren blue) to the cabins. UK-based Lighting Design International carefully assessed and planned lighting to complement the natural light from the windows and portholes. Minimal clutter, maximum technology and craftsmanship, Twizzle is unique in the world of sailboats, universal in appeal; she is classic and timeless, yet ultra contemporary. In terms of décor, the palette is decidedly neutral, with dashes of bronze, bisque, tobacco, nickel, and chocolate. Green also is an important color. 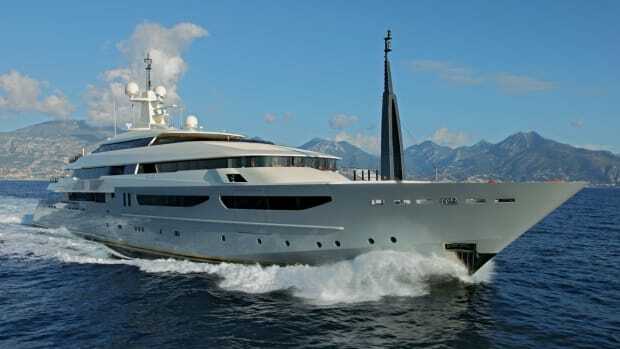 Twizzle is working with Yacht Carbon Offset and has agreed to compensate for the greenhouse-gas emissions associated with her construction and in the refinement of her metal content, which may make her the first superyacht to pledge this agreement. 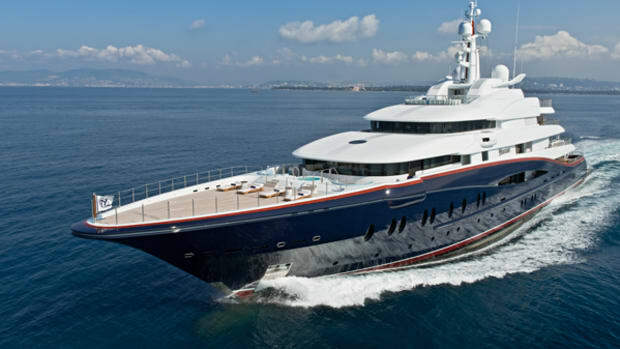 Naval architect: Dubois Naval Architects Ltd.
Jill Bobrow: How and why did the owners of Twizzle choose RWD to do be their designers? 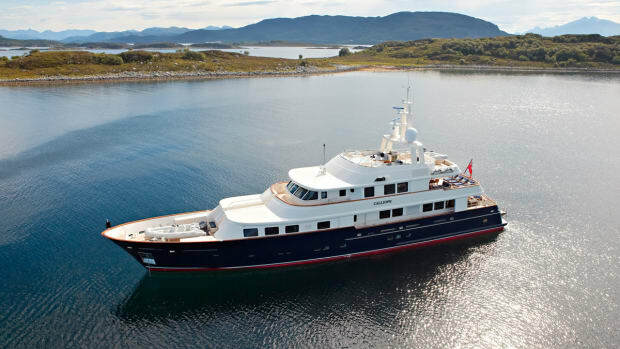 Justin Redman: We had originally been part of the team that worked with the owners and Todhunter Earle on their previous project, a 55.5m De Vries Feadship also named Twizzle (…) A little while later, the owners were visiting our studio on the south coast of England sorting through images of their motoryacht for a brochure and, in between sessions, I, Mr. and his son scribbled out the first doodles of a sailboat profile that led to the Twizzle sailboat project two years later. By this time, we had a very good understanding of how the family lived aboard their yachts and knew in great detail what was important to them. It was this knowledge that led them to ask us to develop their perfect sailboat with them, in isolation from naval architects or shipyards, so that we could evolve a concept and general arrangement based purely on how they liked to live aboard, before integrating the mechanics (and artistry!) of sailing. What made the owners transition from motor to sail? I think it was the challenge of developing a sailboat, which integrated many of the elements that they relished from their motorboating life, whether lifestyle or technical. Also, they do have a competitive streak and like the idea of sailing fast. 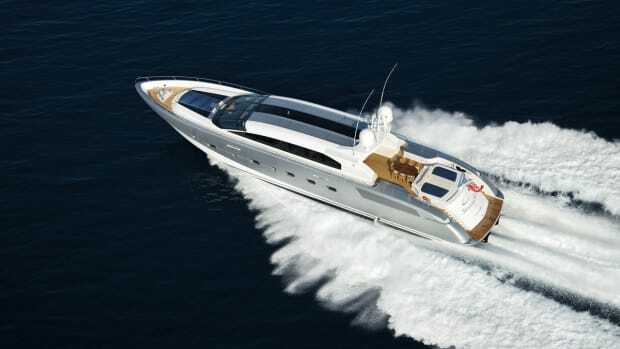 I also understand that with the motoryacht there was a relative loss of contact with the crew, particularly the captain—who has been with them for many, many years—and this was missed. This disconnect is one of the reasons behind the pilothouse concept on the mezzanine level. 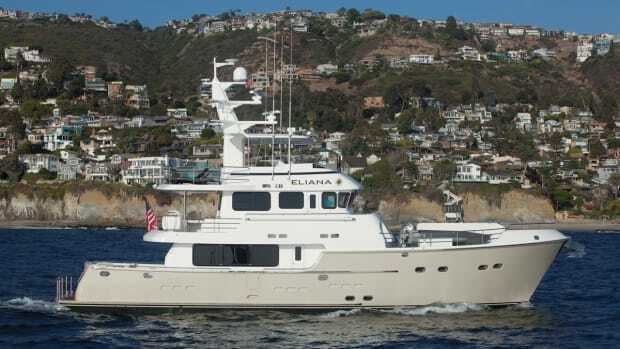 The captain can be contacted easily down from the flybridge or from the main deck. 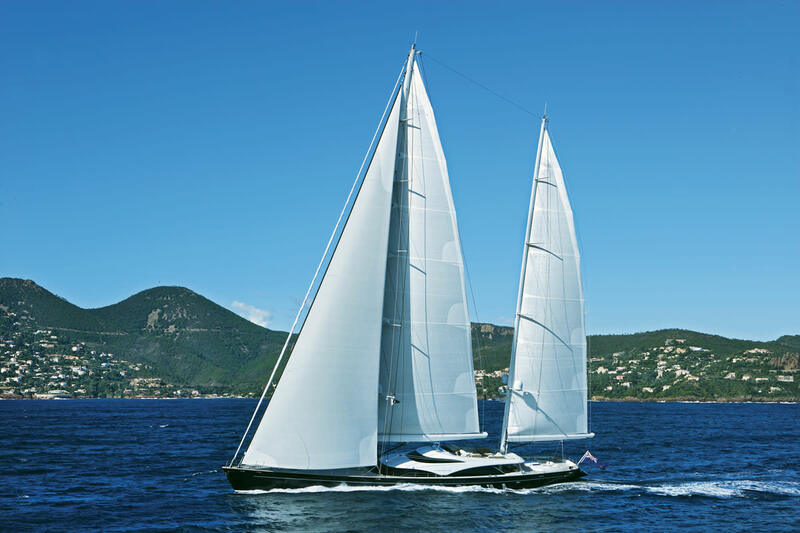 What elements from Twizzle the motoryacht did you use in Twizzle the sailing yacht? A feeling of restrained elegance with the interior and exterior alike. In a sentence, what was theme or overall design brief that you were given to begin your drawings? Externally, the complete smoothness and simple form of a pebble washed up on a beach. Internally, the feel of the Jack Nicholson movie “Something’s Gotta Give,” where crisp linens, cashmere throws and dry, pale, weathered timber come together in a Hampton Beach cottage on Long Island to provide a very relaxed and textured interior. What is your favorite design element in the boat? I am particularly pleased with the owners’ separate aft cockpit, an area seen much less on these large, flush-decked contemporary sailboats. A separate owners’ cockpit provides a more intimate on-deck seating area. I have added pop- up lighting for reading and a lit shelf for a drink. How lovely to get away from the rest of the yacht for quiet time alone. What is the scope of your design? Total involvement and team work throughout. We worked with Ed Dubois’ team on how we could take our exterior, maximize the GRT of the whole vessel and still scrape in under 500 tons. We also worked with the exceptional craftspeople at Royal Huisman on custom answers to fittings that had previously been off the shelf (even on their yachts!) right through to working with Emily and Sophie (Todhunter Earle) on how we could invisibly illuminate the frame of the glass art work representing sea life on the wall of the dayhead. Unlike some others who feel they have to control everything and everyone, we genuinely enjoyed the association with companies such as Dubois and Todhunter Earle on this project, and other brilliant people on other constructions that are currently in build. It is so inspiring! There is no desire to be the big “I am,” but to collaborate with others to seek the more resolved final product. It is also way more enjoyable. 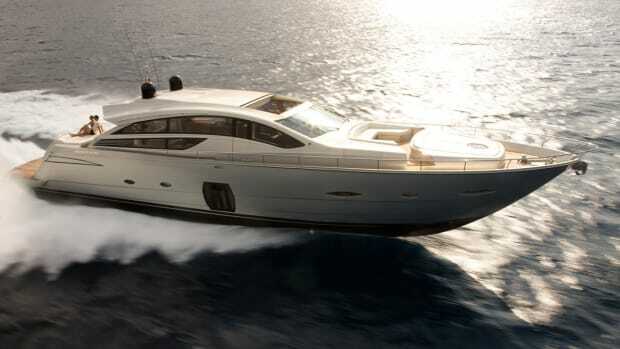 What do you want the readers of Yachts International to know about RWD?